Kai is a Managing Director in FCF’s Corporate Finance Team. He joined FCF recently with a focus on debt capital markets. Kai studied business economics in Frankfurt (D) and San Diego (USA) and holds a Diplom-Betriebswirt (FH) degree from HfB-Hochschule für Bankwirtschaft / Frankfurt School of Finance & Management. Prior to joining FCF, Kai gained more than 10 years of debt capital markets experience while working for the Markets & Investment Banking division of UniCredit and HypoVereinsbank as well as a further two years within the investment banking arm of Bank Vontobel. During the last 10 years, Kai focused on capital markets based corporate finance and project finance transactions, especially in the infrastructure and energy sectors. 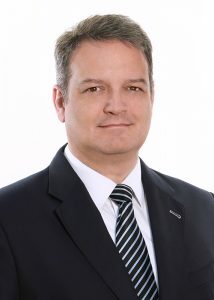 During his time at Bank Vontobel as well as UniCredit/HypoVereinsbank, Kai worked on the origination, structuring and execution of senior and subordinated debt transactions of, amongst others, eKabel, Sanitec, Messer Griesheim and Yell. Furthermore, Kai has been responsible for several ring-fenced, off-balance project financing transactions involving, inter alia, toll roads, wind farms and solar-PV power plants for companies including Energiekontor, ABO Wind, juwi Holding, Energiequelle, BP Solar, Solon or FRV.